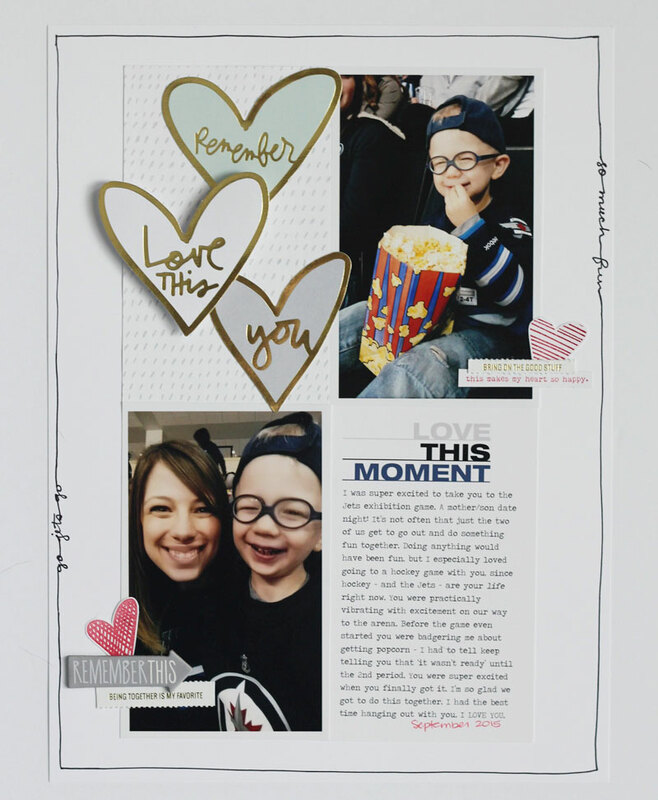 I'm here to share an actual scrapbook layout today, as opposed to a Project Life spread. I've had these pictures of my son and I from a hockey game we went to last fall that I've been wanting to scrap, and finally got around to it. It's not too often that it is just him and I doing something fun together, so this was a special night. He is also a huge hockey fan, so it was really fun to be able to take him to a game. We are lucky enough to split some season tickets for Winnipeg Jets games, so I took him to an exhibition game. He's actually been to quite a few Jets games already, but he's now at the age where he 'gets' it a bit more, and can somewhat watch the game. We had a blast together! His highlight was probably the popcorn though, ha! This was my first attempt at a 9x12" page, and I have to say, the blank page daunted me for a bit. The only physical pages I've ever scrapbooked have been 8.5 x 11", and for some reason, this seemed so much bigger. 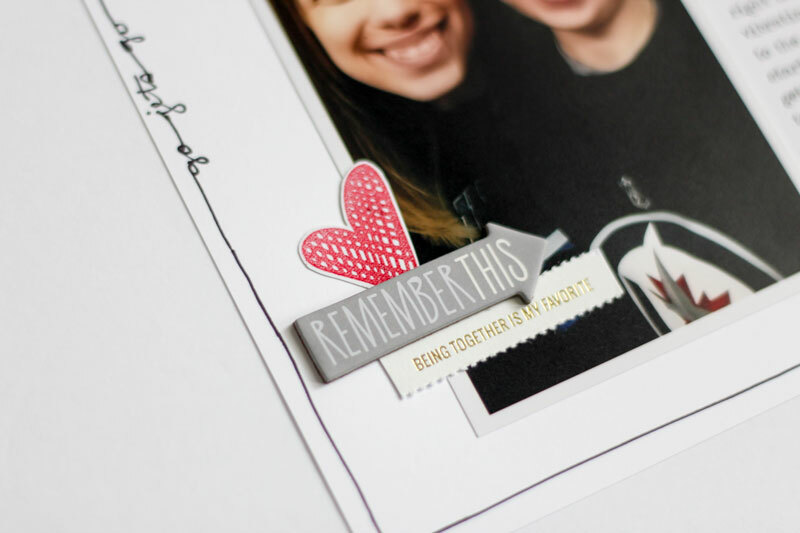 I loved Ali Edwards' Story Kit this month. I love all her kits, but this month's theme (Heart) is definitely one of my faves. I also got the Story Stamp this month as well. It's one that I can see using over and over. I'd love to sub to the stamp as well, but with the Canadian dollar what it is right now, I just can't. But when there are stamps I really love I bite the bullet. 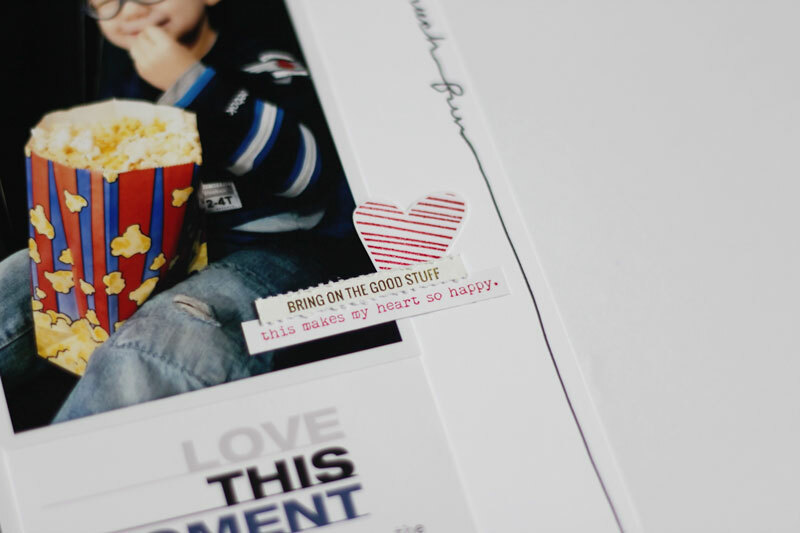 I have another layout I am working on with my Heart Story Kit, plus my Week 4 Project Life spread to put some finishing touches on, so hopefully I can get those posted in the next week. Love your 9x12! It's such a fun size :) Was the ink border the addition you mentioned?! Because I love how it turned out. 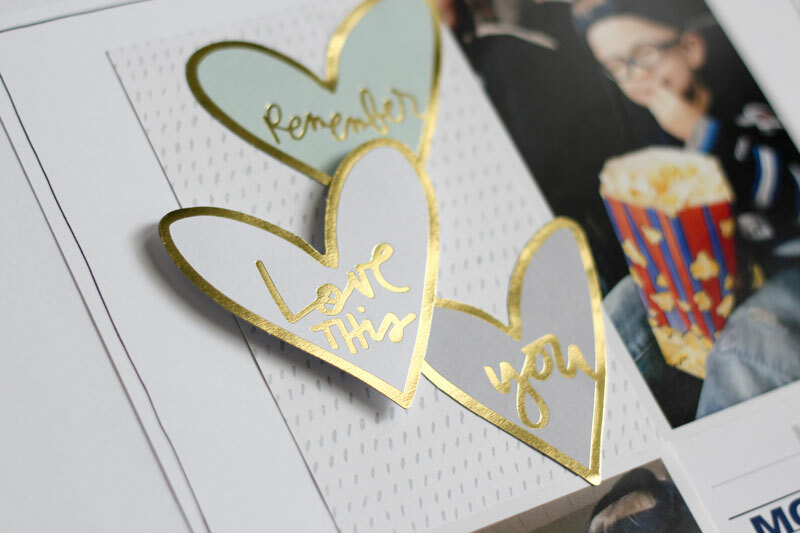 It's a great way to get your handwriting in here!